In this unbearable summer heat it is all too easy to sweat the fluids out from the body. 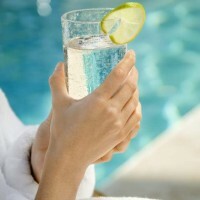 These fluids actually perform the function of keeping you healthy as well as hydrated, specifically while being active. Besides, it becomes even more essential to keep the kids topped up. The task gets even harder when the kids just don’t feel like leaving the fun of drinking. Well, keep your worries aside as there is no need of relying on water or juice filled with sugar. There is an assortment of refreshing fruits which contain ample water to keep you hydrated and provide additional benefits like weight loss also. This water filled fruit is a combination of minerals, salts, as well as natural sugars to help you stay hydrated. This fruit works better than any hydrating drink. Furthermore, the fruit can be taken in bigger quantities due to comparatively lower fiber content, without leading to stomach upset with good content of vitamin A and potassium. The fruit is also referred as a guilt-free snacking for it contains just 49calories per serving. Additionally, the fruit also acts as a great laxative due to presence of vitamin C, calcium, carbohydrates, phosphorous, and magnesium. Being high in foliates, calcium, anti-oxidants, beta carotenes, plus B-complex vitamins, oranges can be taken after an exerting activity. The fruit is sufficiently juicy to keep you hydrated and refreshed on hot summer days. Read: Benefits of orange juice. Apples can prove great for the body in hot summer days. With almost 80% of water content, apple proves great for hydration during a hot day out in summers. Read: Benefits of apple juice. Akin to apple, this fruit contains as much as 80% of water content in addition to various minerals and vitamins. And, believe me, there is nothing like popping cool grapes into the mouth after coming home from shopping on a hot day. Featuring water content similar to other summer fruits, peaches are, however, one of the essential fruits of summer. It is juicy, fleshy, and flawlessly sweet. This fruit can be eaten with the skin as breakfast to fulfill the requirement of vitamin A, B2, plus potassium. This watery fruit, packed with bromelain and anti-inflammatory qualities, helps you stay hydrated in killing hot summers. 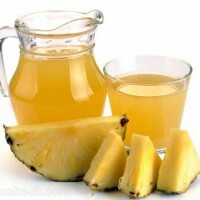 Read: Benefits of pineapple juice. The best and juiciest way to stay cool is this summer fruit in its chilled form. However, if you want something little spicy, you can go for ‘aam panna’ prepared from unripe mangoes, steamed and then blended with sugar, jeera (cumin), and salt. This remedy is great for heat strokes as well as exhaustion during summers. Want to avoid acne and other skin breakouts resulting from summer heat! Apricot is your rescue fruit. It provides vitamin C, potassium, beta-carotene, iron, and fiber to the body. This fruit can be taken as an excellent snack before or after gym workouts. Additionally, the fruit is great for water retention. An excellent refresher, eating enough of gooseberries provides with goose bumps rather than sweat stains. 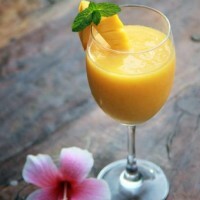 In addition to being a good refresher, this summer fruit is also helpful in preventing premature aging from sun’s heat. Also, it provides extra stamina for gym workout sessions. You can take it in the liquid form also, at any time of the day. This is another summer fruit with high content of water that works great in keeping you hydrated and active during hot summers. Also, the low sodium content plus higher fat blasting enzymes are helpful in weight loss. Additionally, this hybrid fruit carries high content of resveratrol, a compound with anti-aging, anti-inflammation, and anti-cancer qualities. The high water content of muskmelons is helpful in avoiding disorders associated with heat. Muskmelon can also be taken in the form of a refreshing drink prepared from frozen muskmelon cubes blended with milk and sugar. The potassium contained in this fruit will provide a cooling effect on your stomach. Besides, it also aids the digestion process. Adding further, it reduces stress level, so have one if there are heavy deadlines coming up. This is a good option to do away with sleepiness felt after lunch, when the sun is most ferocious. The high sugar content of the fruit provides an excellent energy boost in addition to helping with strengthening of the gastrointestinal system. You can replace a meal of any time with a glass of sugarcane juice. Temperature fluctuations between summer days and nights lead to low levels of energy. This results in making the body open to various types of aches and diseases. All these problems can be overcome by adding litchi to your fruit diet. Litchi is high in water content and is, therefore, considered as an effective coolant. 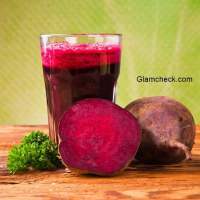 Adding further, it also helps in prevention of internal blood clots as well as cell damage. Also, litchi has proved to be quite effective in reducing strokes in as much as 50% of heart patients. ‘Nimbu paani’ or lemonade forms one of the most refreshing drinks in hot summers. It has been there for ages. Adding to the benefits, this refreshing drink also lessens cancer risk in addition to mitigating the risk of heart ailments and respiratory problems as well. The high water content of this cool fruit mitigates the heat as well as inflammation. Being a rich source of fiber, it can be added to the salad for extra fiber intake. Another cool way is taking a refreshing drink prepared from grinded cucumber added to mint leaves to keep you fresh and hydrated. One glass of pomegranate juice after workout can prove really refreshing. The underlying reason is that excessive sweating during the workouts in gym slows the recovery process of muscles because of shortage of fluids and this rich fruit is great for muscle recovery. Really effective in avoiding the heat stroke, raspberries contain high amount of beta-carotene and also work great in treating depression, over-fatigue, or convalescence. Treat yourself with a sweetened breakfast with sugar and fresh raspberries added to rich millet porridge. Keep yourself hydrated this summer with a glass of coconut water. Coconut is helpful in protecting your body from damaging free radicals which are responsible for promoting degenerative diseases as well as premature ageing. Also, it relieves pancreas’ stress thus mitigating the symptoms related to pancreatitis. Read more: Health benefits of coconut water. Papaya is another rescue fruit to beat the summer heat. Additionally, the vitamin E content contained in the fruit mitigates wrinkle formation in addition to delaying the ageing process. Adding further to your knowledge, the papain enzyme acts as an excellent agent for skin renewal by removal of dead skin to reveal fresh and glowing skin. Mint acts as a cooling spice, specifically in the killing hot days of summer. Adding mint to any beverage or salad, like lemonade or tea, would provide an extra cooling effect for the taste buds. Also, it is one of the best remedies for bad breath. In addition to being a rich source of vitamin C, blackcurrants act as a good source of phosphorous, iron, and potassium. Also, blackcurrants are helpful in water retention to let you stay hydrated in hot summers. Adding further, this fruit also acts as an effective antioxidant to help you fight the killing heat of summers. 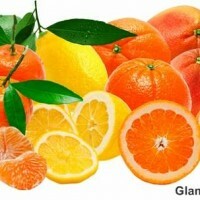 Moreover, the fruit is also recommended for those suffering from anxiety, stress, and high blood pressure. Being filled with vitamin C, honeydews perform the function of being a gentle and effective laxative. Akin to watermelon, this fruit helps in cooling the body. Adding further, this fruit also contains sugar, carbohydrates, protein, fat, and sodium. Cherries, being rich in vitamin-C, can prove quite effective to beat the summer heat. This is one of the most loved fruits in the whole world. Also, cherries are also beneficial for those suffering from kidney problems for it is an effective diuretic. Adding further, cherries are also good for joints. Being filled with ellagic acid, cherries also help in cancer protection. Akin to fresh peaches, nectarine also performs the function of an effective laxative. Additionally, it also helps in maintaining the cholesterol levels. Being an effective anti-oxidant, this fruit is quite beneficial in keeping you hydrated and free from any kind of skin and bodily infections that may happen in hot summers. Moreover, it maintains blood circulation and is also good for heart. One of the best sources of flavanoids and vitamin C, strawberry is a watery fruit that can help you stay hydrated in the hot summers. Besides, this fruit is also helpful in eliminating uric acid from your body thus being helpful in treatment of arthritis. Furthermore, strawberries also work great against heart and circulatory ailments. 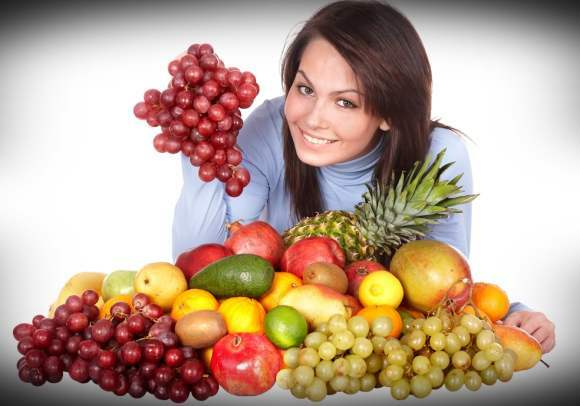 Those suffering from high cholesterol can also benefit from the fruit. So, stay hydrated with fruits this summer to avoid heat strokes. Take care!